So what exactly is bunny bread? 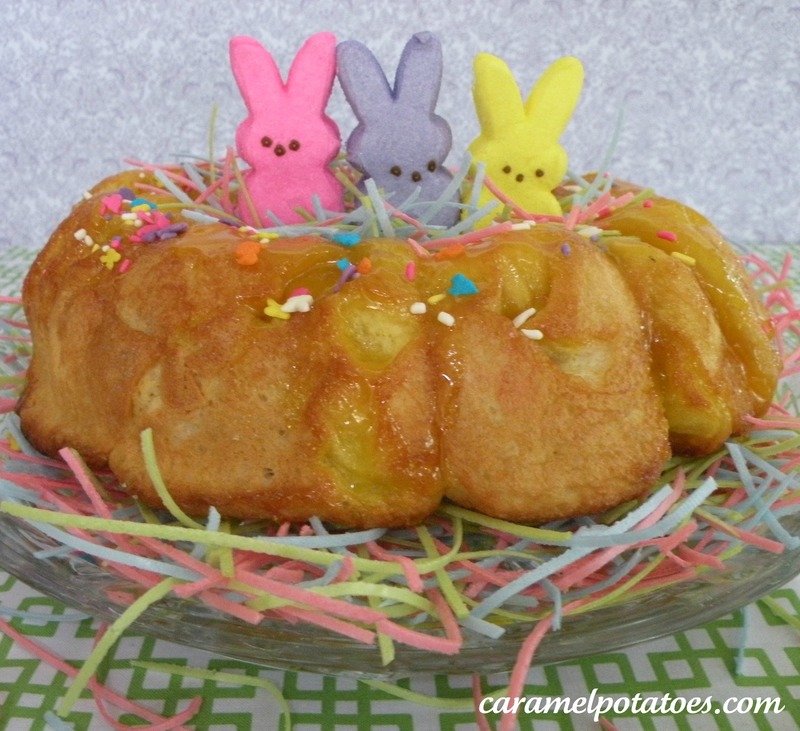 You might say it’s monkey bread with an Easter makeover! Same fun pull-apart bread, but we’ve traded out the caramel gooey topping for a marshmallow gooey topping (made with Easter peeps of course!) Next we dressed up the plate with some edible Easter grass (found it at Target), filled the center with more grass so we could create a cute little nest for our Easter Bunny Peeps, and finally we dressed it up with a few Easter sprinkles to top it off! 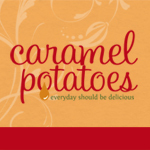 A fun treat for your little peeps! Thaw dough, but don’t let it raise (you can do this in the microwave 😉 Put the loaf in a plastic bag and defrost a couple of minutes at a time). Mix together pudding, sugar, butter and milk – set aside. Cut dough into small pieces (about 1- 1/2 inch cubes). Cut peeps into small pieces and toss with bread dough. Pour pudding mixture over bread and peeps and stir until coated. Spray a bundt pan and add bread mixture. Let rise until it gets about to the top of the bundt pan (1 1/2 – 2 hours). Bake at 350 for about 25 minutes. Remove from oven to a wire rack and allow to stand for 10 minutes. Turn out and serve while warm!! What an adorable idea! I think my Girls will have lots of fun making this bread. Thank you for sharing it! Happy to be your newest follower! Okay, Kyra…you created something I think even I can make. 🙂 Thanks! Debi – Of course you could make this! Have fun with it and have a wonderful Easter!! !